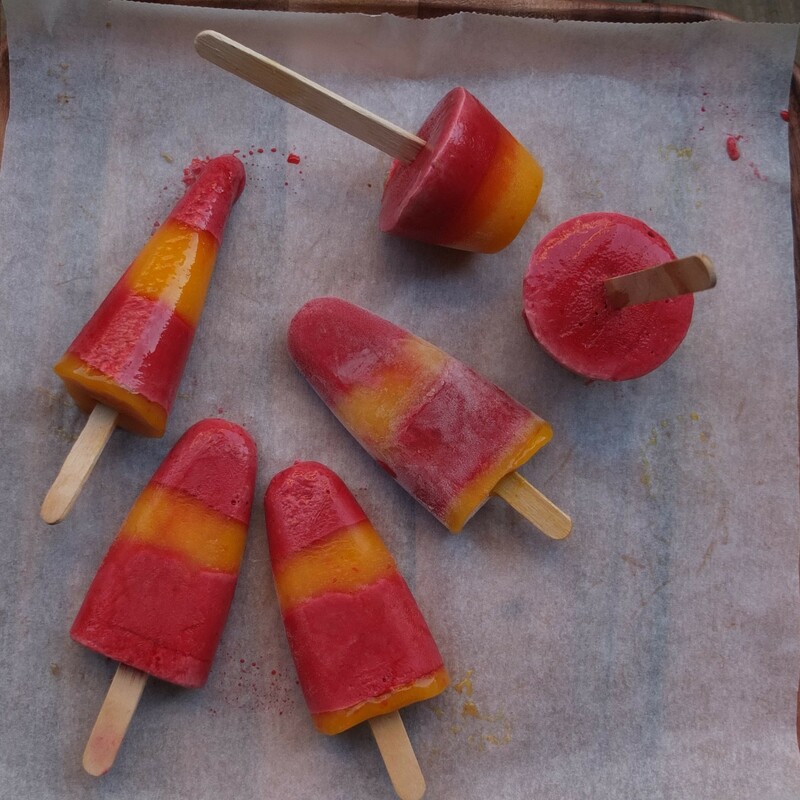 You can adapt and play around with your lolly flavours and use any fruit purée. I made some cherry and lime ones that were very tasty and refreshing. 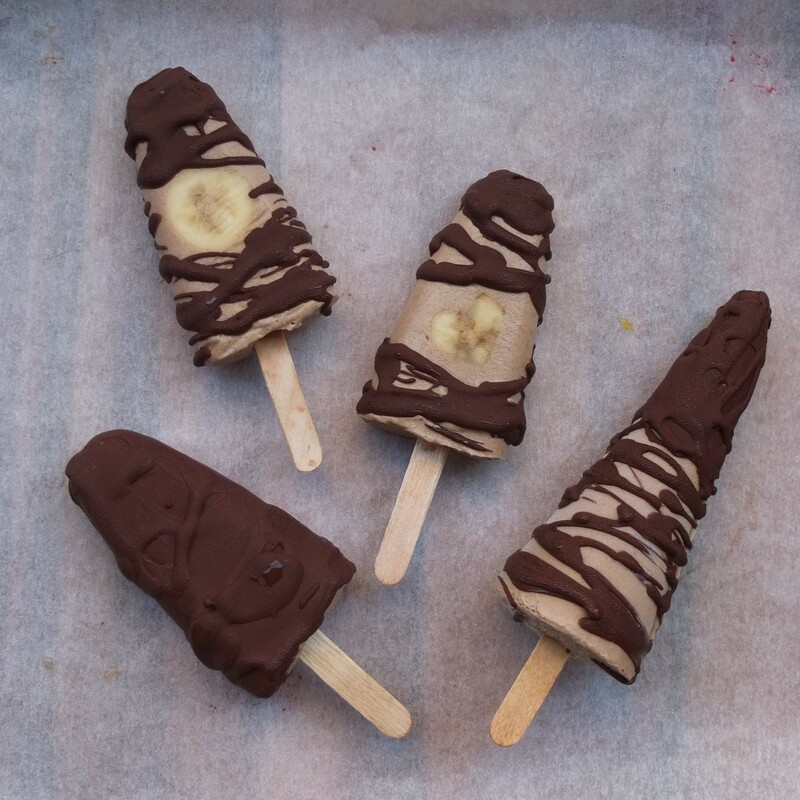 As you see in the photo below, the chocolate on the mocha lollies can be studded with sprinkles. 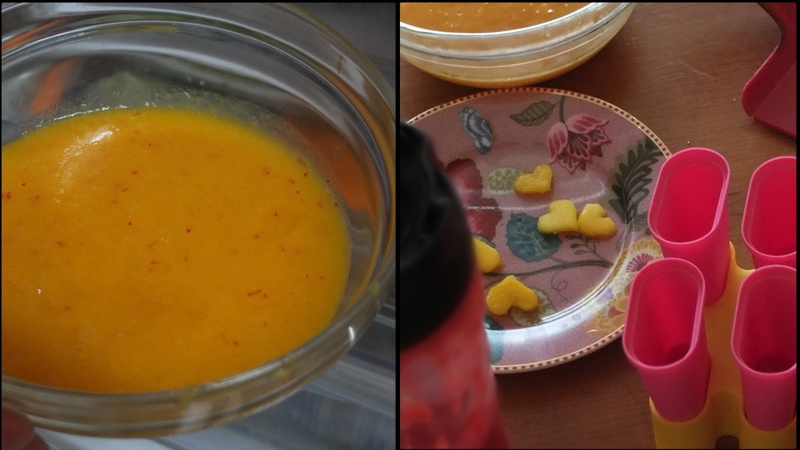 And blueberries taste nice with the mango lollies (don’t put them at the bottom of the mould like I did – pour a little liquid in first). The cherry and coconut stripes came out neatly from waiting a few hours between layers (sadly I rushed my mango and raspberry ones… oops). 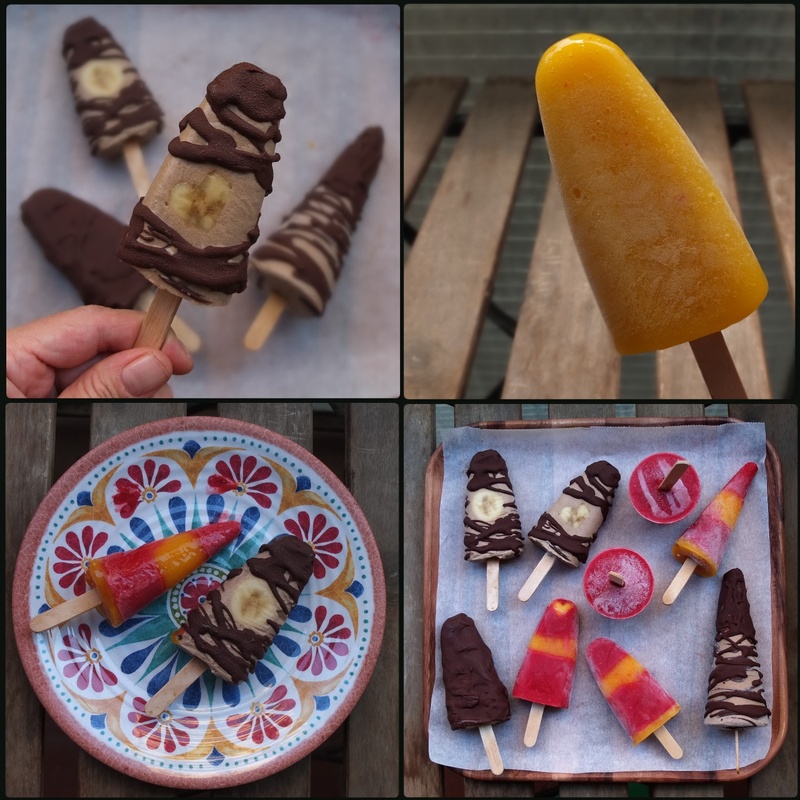 Anyway, after lots of experiments involving almond milk (okay but not as creamy as coconut milk), xantham gum (not worth adding) and infusing the fruit purée (not necessary) I finally developped perfect very simple recipes for my new favourite popsicles. And I also discovered when to insert the sticks so they don’t sink or refuse to go in. Of course if you use the IKEA handles provided it’s simpler but maybe not as photogenic as natural wooden sticks?! 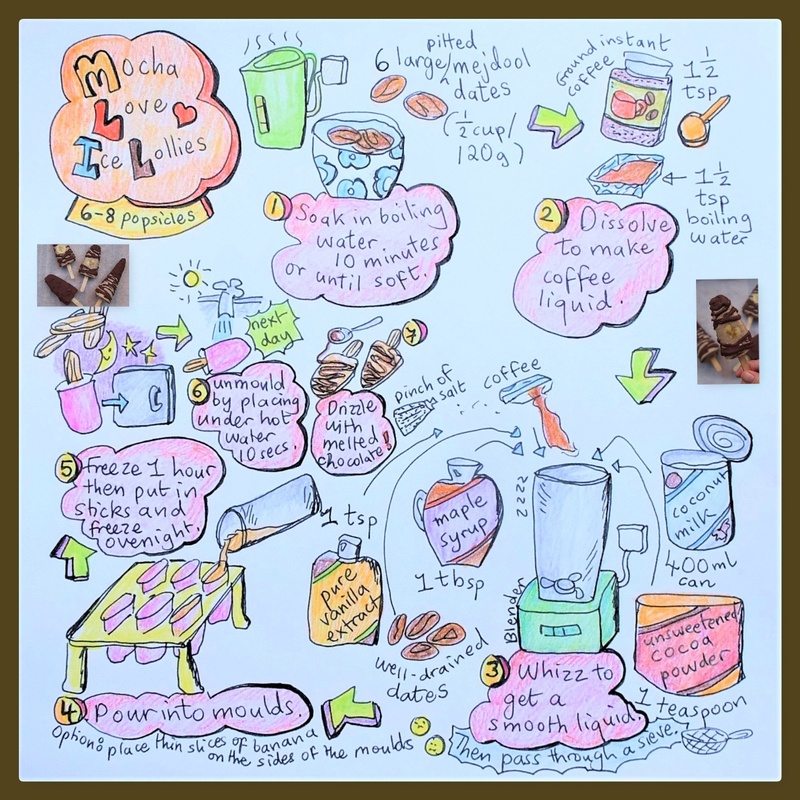 The mocha lollies are adapted from the amazing coffee coconut milk popsicles on the Feeding your beauty blog. 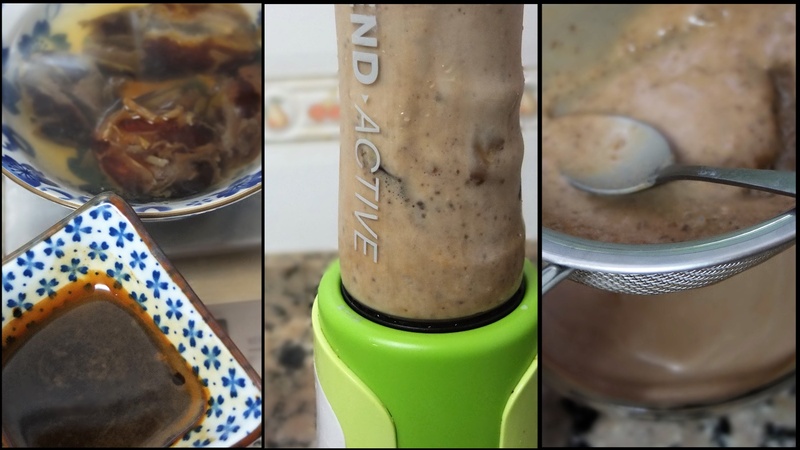 I’ve recently discovered the joys of mocha (coffee and chocolate, drool…) so added some cocoa powder then balanced it out by increasing the coffee and adding maple syrup. It also seemed best to sieve the liquid before pouring into the moulds. 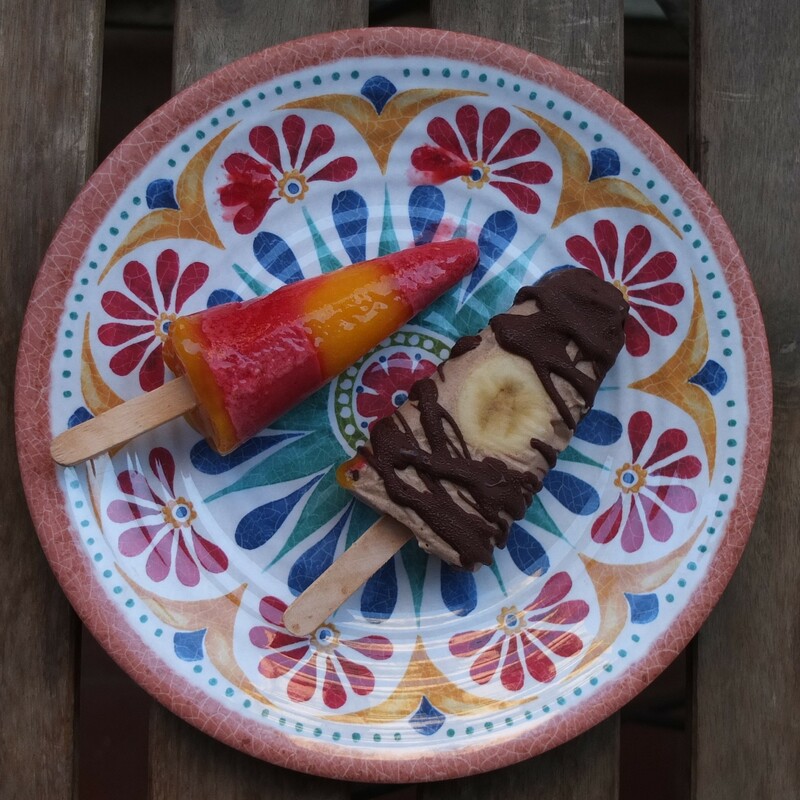 The mango lollies are based on Mexican paletas usually made with sugar and chile powder. I thought I’d use fresh chilli peppers and a little maple syrup instead, which totally works to give you that spicy sweetness. 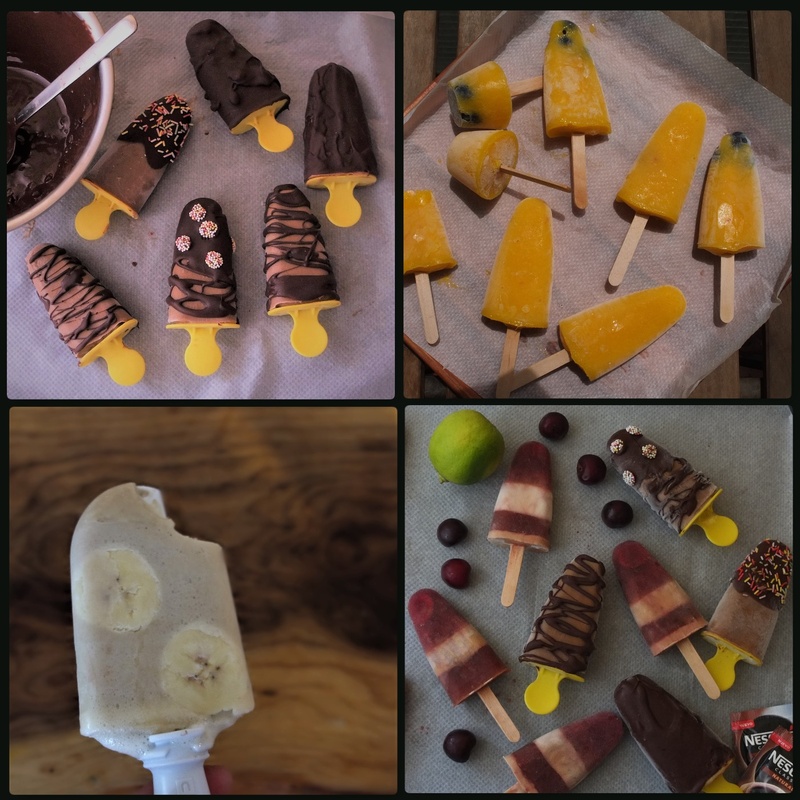 The raspberry layers are optional and added in because I love striped lollies – it is yummy to have two flavours and they’re lovely together but next time I’d have more mango and thinner raspberry stripes. The quantities are pretty flexible as it depends on how sweet your tooth and fruit are or your personal taste for coffee and cocoa. Plastic moulds, pots, cups or cones. Once you unmould place on greaseproof paper on a tray to freeze well before drizzling or covering in chocolate. Then briefly freeze again before storing in tupperware. For the raspberry layer put everything in a blender and whizz till smooth. 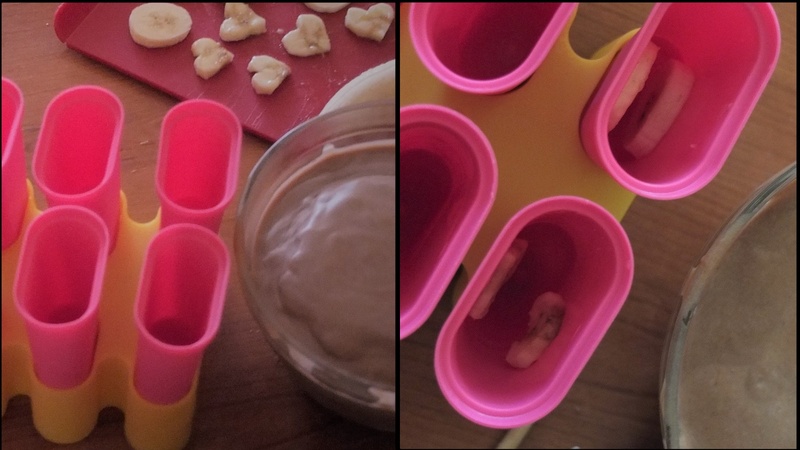 Put equal tablespoons or teaspoons in each mould and allow to freeze about an hour or more before adding the other different layer. Repeat. Place the mixture carefully so you don’t have drips on the sides (wipe clean with a paper towel if necessary). Otherwise go for a messier swirl effect. 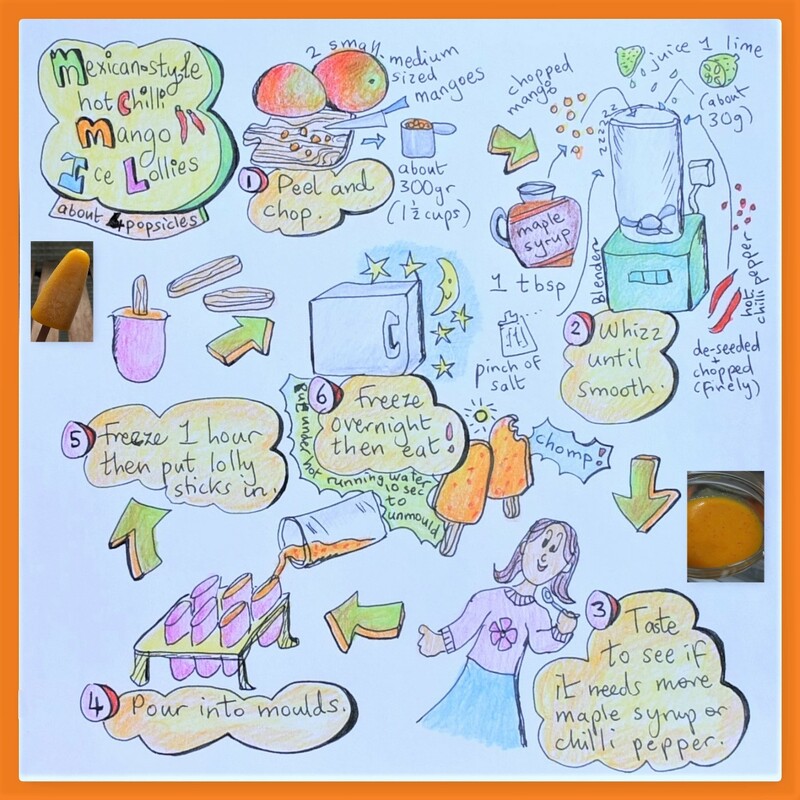 Or make simple chilli mango paletas! Once your lollies have been unmoulded let them freeze solid again on a tray covered in baking paper then store in airtight tupperware between layers of greaseproof paper. It’s best to eat them within 2 weeks when they’re at their best. Apologies, I wanted to go into the history of ice lollies especially since they were first discovered by an 11-year-old boy! But it’s too hot. I’m wilting and just need to lay back and have another ice lolly! Lol. But will just say that all spellings of ‘chile’ (the original Latin American word) are acceptable! Hurray! It’s usually ‘chilli’ in the UK and ‘chili’ in the US (not sure about other countries and sorry but it’s sooo hot… got to lie back on the sofa now). Will just toddle off first and get me a couple of ice lollies! 🙂 One of each. Which would you prefer? 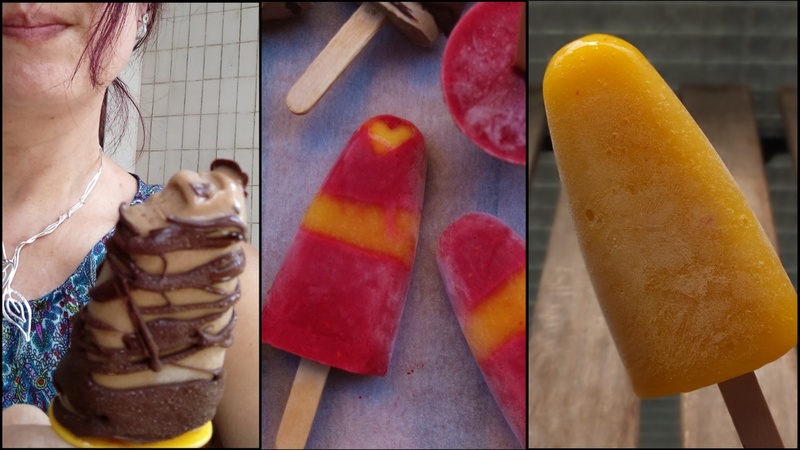 The creamy mocha ice lolly, chilli mango and raspberry or just a chilli mango paleta? Great post, needs to be bookmarked ! Thanks for sharing !! Hi Lili! 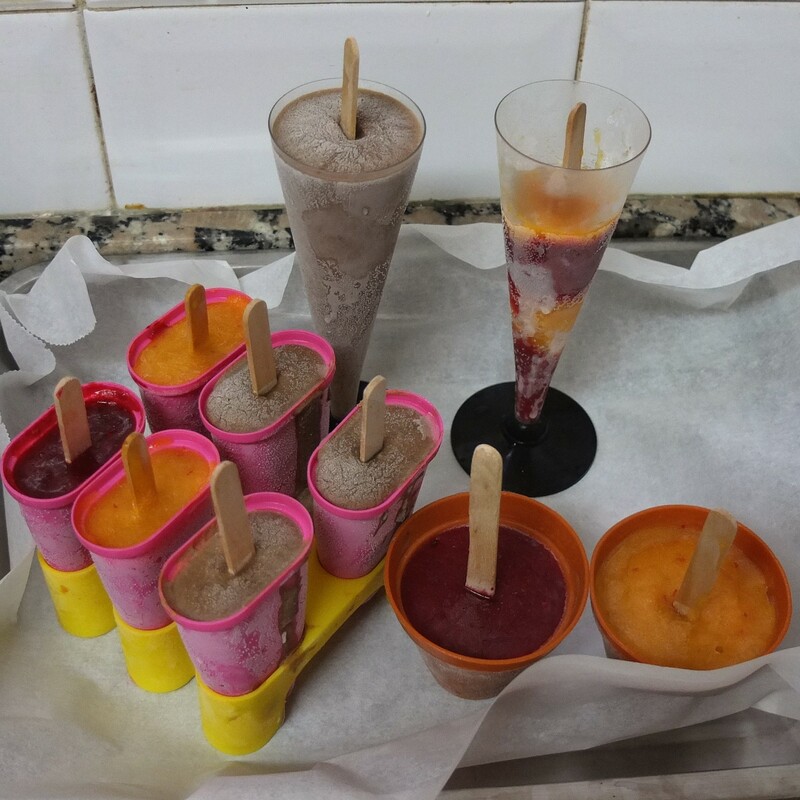 The vivid colors of the mexican-style chilli mango and raspberry yoghurt ice lollies made me remember my childhood, because I used to buy (sometimes with my siblings) some bi-colored ice lollies at the entrance of my school with the same hue of yellow and red colors, although the flavor was vanilla and redcurrant (half and half). By chance, my younger brother was reminding me about those childhood ice lollies about a month ago, while we where enjoying the remembrance of their fantastic flavor. (Now, I wan’t one 😀 ) Have an excellent week!